Fresh hibiscus flower drink is a quick,easy and painless recipe everyone can try at home. 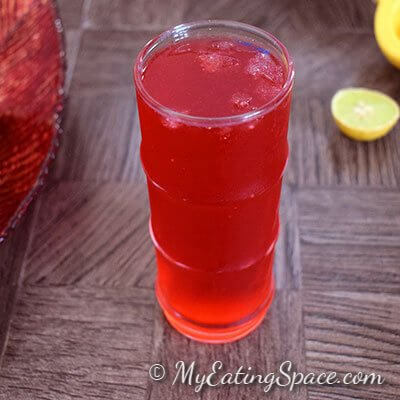 This herbal/ floral drink tastes almost like lemon juice but with a mild hibiscus flower flavor. The beautiful and gorgeous red color of the drink makes it a royal addition to any occasion, think Valentine’s day. 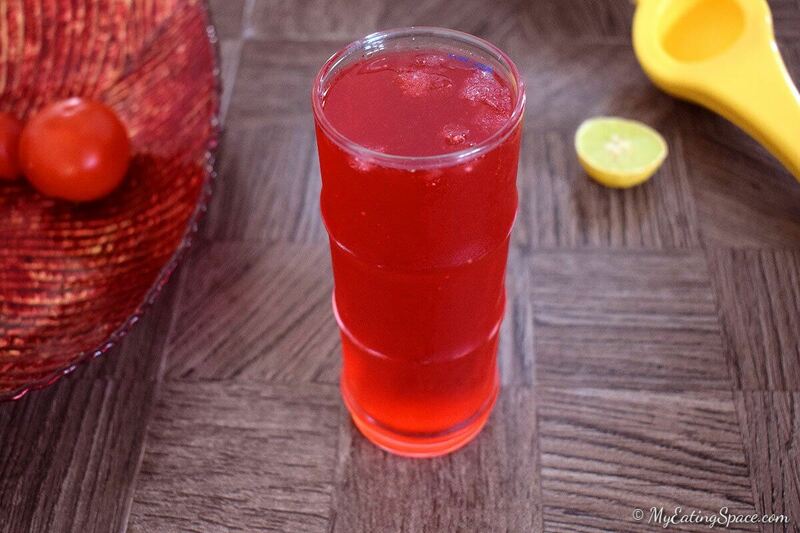 This hibiscus drink is made with fresh flower plucked from our neighbour-hood. 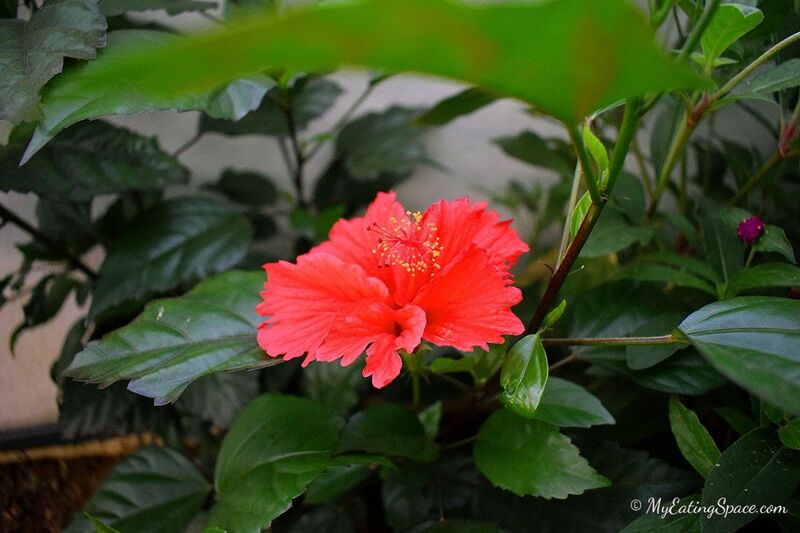 I have a small hibiscus plant in my garden which has just started blooming. If fresh flowers are not available, we can use the dried flower available in stores. 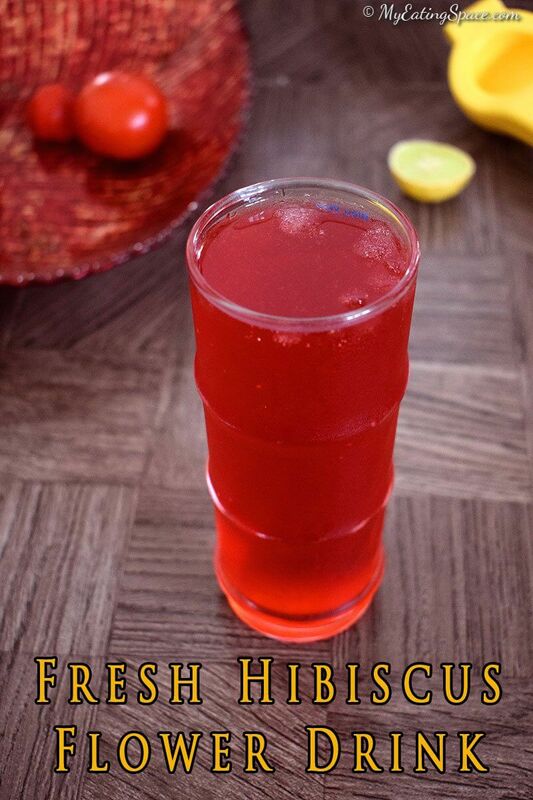 Call it hibiscus tea or juice, the drink is refreshing, naturally colored with sweet-tart combination and makes you additive that whenever you see a hibiscus flower, the first thing to come to your mind will be the hibiscus flower drink. If you have got more flowers, make a concentrated flower syrup and store in refrigerator. You can make the drink anytime if you have the concentrate. You can enjoy the drink hot or cold, but it’s best when served cool, especially during summer. A naturally colored floral drink with a sweet-tart combo made from fresh flowers. Remove the stigma (thread like part in the center of the flower holding the yellow pollen) of each flower. Wash and separate the petals of the flower. Bring the water to a boil in a sauce pan. Add the petals to the boiling water. Cook until the petals turn white. Remove from heat. Strain the petals. Let it cool. (You can store this syrup in the refrigerator for long use). Add sugar and lemon juice. Stir well to combine. The same recipe can be used with dry hibiscus flowers as well. Adjust sugar and lemon juice according to your taste. Who don’t love a colorful drink. 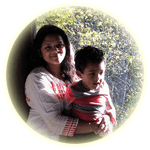 Make it for your kid whose life is full of colors or make it for your loved one and fill their life with colors.